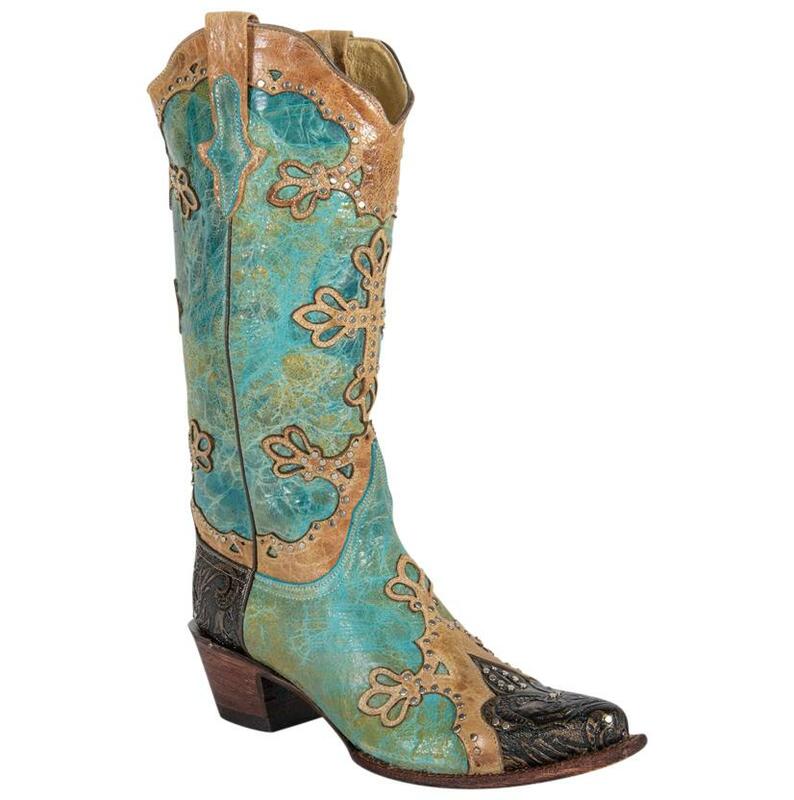 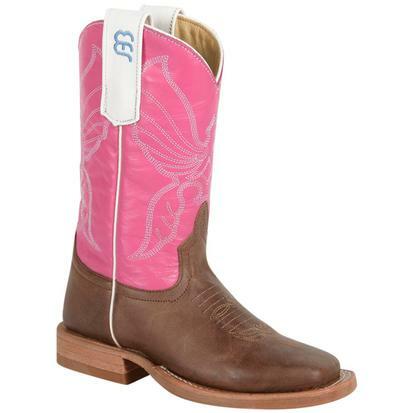 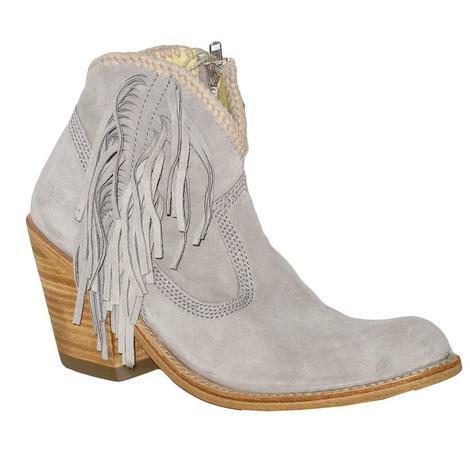 Distressed gold and turquoise embossed Diva Ferrini boots for women are truly a wonderful addition to your wardrobe. 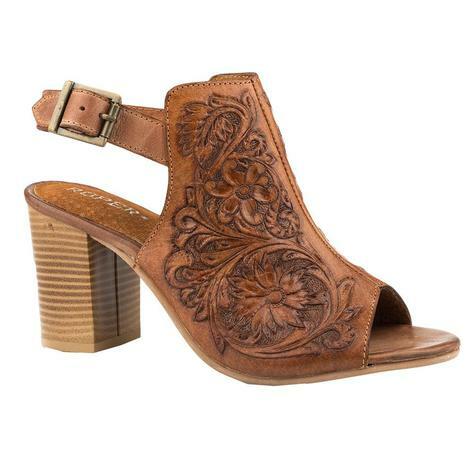 Each pair are intricately designed with great gold and bronze fleur de lis wingtips over snip toes and heel caps, and include a riding heel. 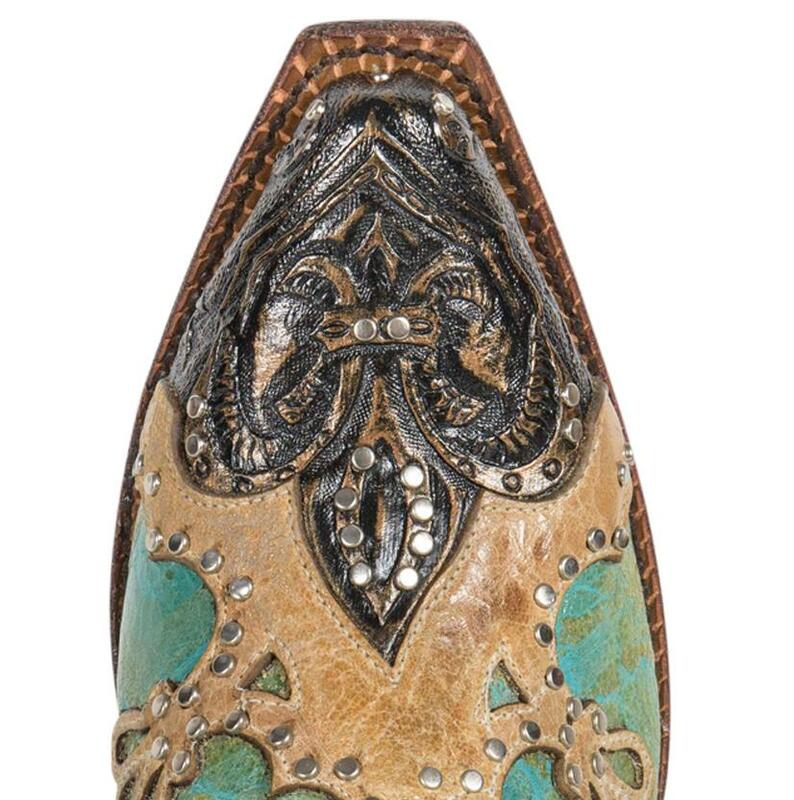 The 13" shafts are distressed and marbled turquoise with golden empirical overlay and crystal studded edging the overlay.